Custom-made cell phone & iPod ear molds: For those who want hands-free use of their cell phones, we offer custom-made ear molds to fit your Bluetooth receiver or wired headset through Westone Laboratories. iPod and mp3 player users will enjoy a more comfortable listening experience with custom ear molds. Custom-made noise protection ear molds (including musician’s earplugs): Any kind of noise exposure is potentially damaging to hearing, so whether your noise exposure comes from your work environment or just mowing your lawn, custom ear molds can provide protection from noise-induced hearing loss. Custom musician’s earplugs are available to protect the ears from loud music at a concert without disturbing or distorting the quality of the music. Swim Molds: Many people, especially children, have been advised to keep water out of their ears in showering or swimming due to eardrum perforations, ear tubes or a tendency to get infected ears. Custom swim molds can protect your ears from the water better than one-size-fits-all plugs found in drug stores. 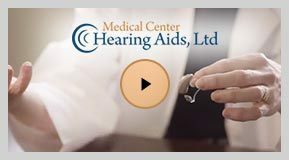 Custom ear molds for hearing aids: Of course, we also provide custom ear molds for use with behind-the-ear hearing aids, both standard BTEs with regular size 13 tubing or with slim tubes, and receiver-in-the-canal hearing aids. These ear molds are available in many styles, colors, and materials. Sleep Molds: For the person who is bothered by the snoring partner or airplane noise while in flight, sleep molds are a great option. If you toss and turn, the small size will not cause discomfort to your ears.